For those that do not know, telephone companies in the United States have to follow a specific guidelines to protect customer data, called Customer Proprietary Network Information (CPNI), and despite the news about the NSA recently, the telcos take CPNI very seriously. CPNI is information that the telephone companies gather when you use their services (call logs, length of calls, etc.). 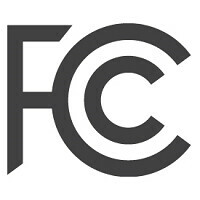 Wireless carriers are also bound by CPNI rules, but today the FCC made a Declaratory Ruling clarifying that carriers are required to protect data that may reside on subscribers’ devices. That includes not only the device, but also data related to pre-installed apps. The ruling does not apply to third-party apps that are installed by the user. Carriers collect the data for billing and network performance reasons, and that data has already been protected as CPNI, the ruling extends that protection to the devices now. This does not change how the carriers use the data they collect however.